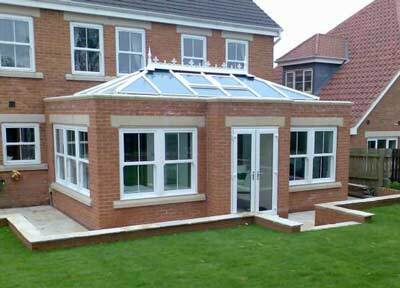 Bahama orangeries offer a different take on the traditional conservatories. And our Bahama "Ultraframe" orangery is a great way to add conservatory-style light and space to your home. The orangery is an atrium-style conservatory, where your adjoining rooms flood with light and bring you the feeling of grandeur that comes from its height. 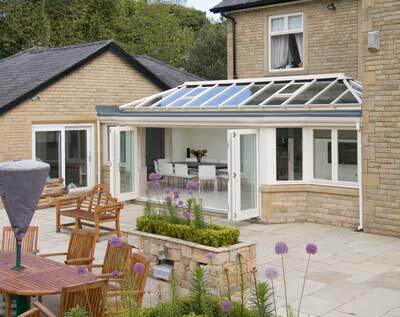 Bahama's orangeries, like conservatory styles, are both traditional and contemporary, falling somewhere between a conservatory and a traditional extension. With their brick pillars, orangeries offer more privacy than conservatory styles and the interior height provides a breathtaking focal point through which light floods in to your home. Your orangery will offer a seamless link between your home and garden.The orangery has its modern roots in 17th century Holland, when relations between the Dutch and the British were good. The concept, though, may be much older. There are records of buildings similar to orangeries in 14th-century France, and the Romans had built glorified greenhouses many years before that. The result was the first orangeries, constructed with south-facing windows to make the most of the sparse sunlight. In these orangeries, plants grew in pots so they could be transported outdoors in summer. For extra protection from the British winter, the orangery roof was filled with straw for insulation and the orangery's shutters would close at night.y the early 19th century, some orangeries had underfloor heating, but their popularity was on the wane. Orangeries needed large, south-facing gardens, which meant they weren't always attached to the house, unlike conservatory styles. A further boost for conservatories was the abolition of window tax in 1845. Stand out from the crowd and choose a Bahama "Ultraframe" Orangery.